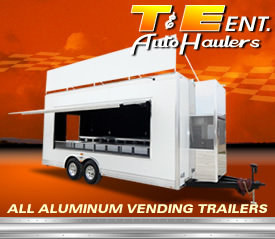 Car Trailers by T&E Auto Haulers - Custom Vending Trailers...The Ultimate in Salesmanship! 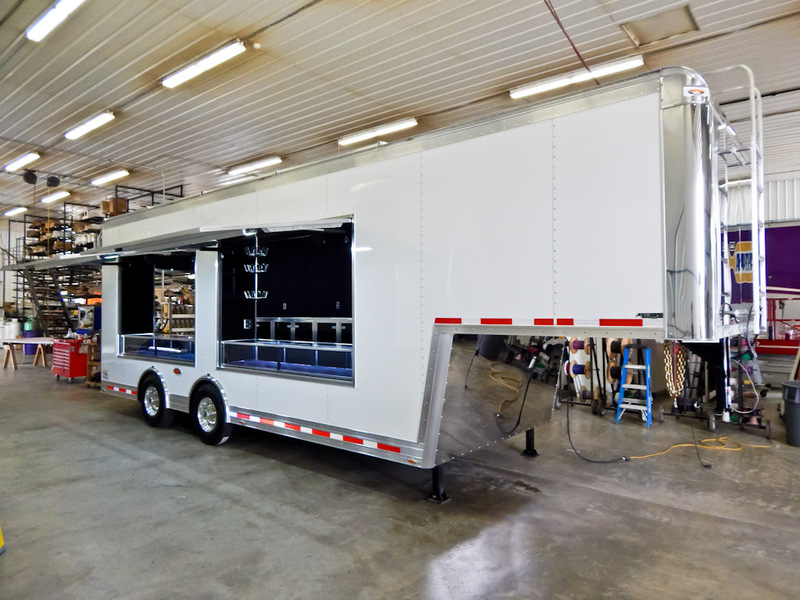 T&E Custom Vending Trailers...The Ultimate in Salesmanship! 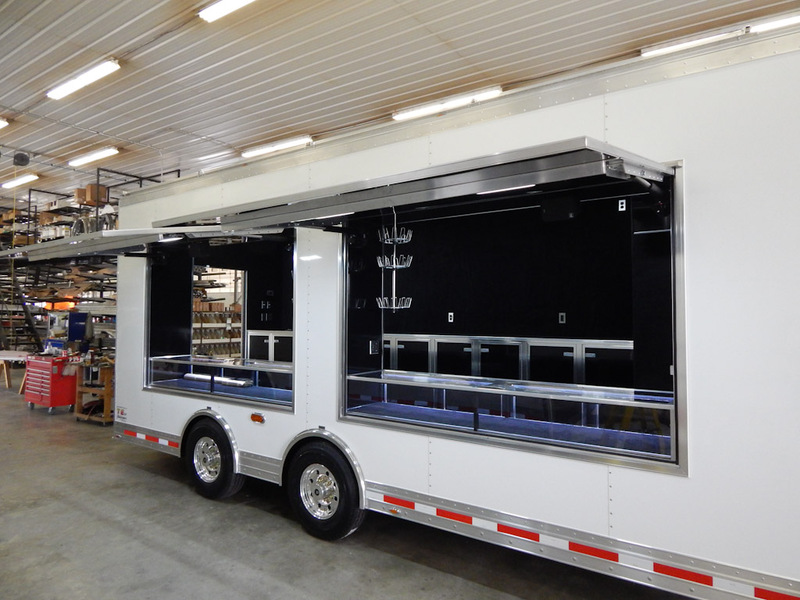 Enhance your event sales with a custom built T&E all aluminum vending trailer. 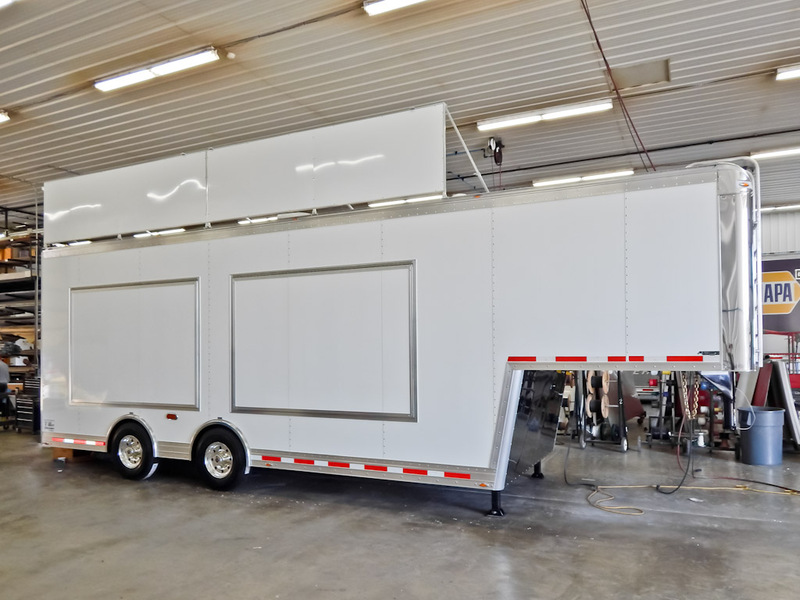 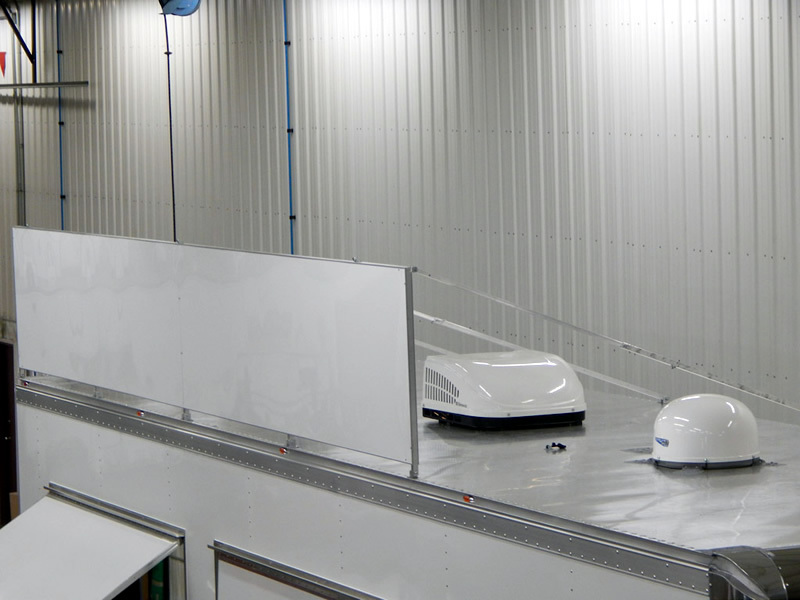 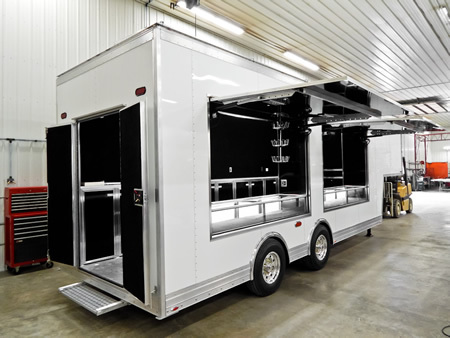 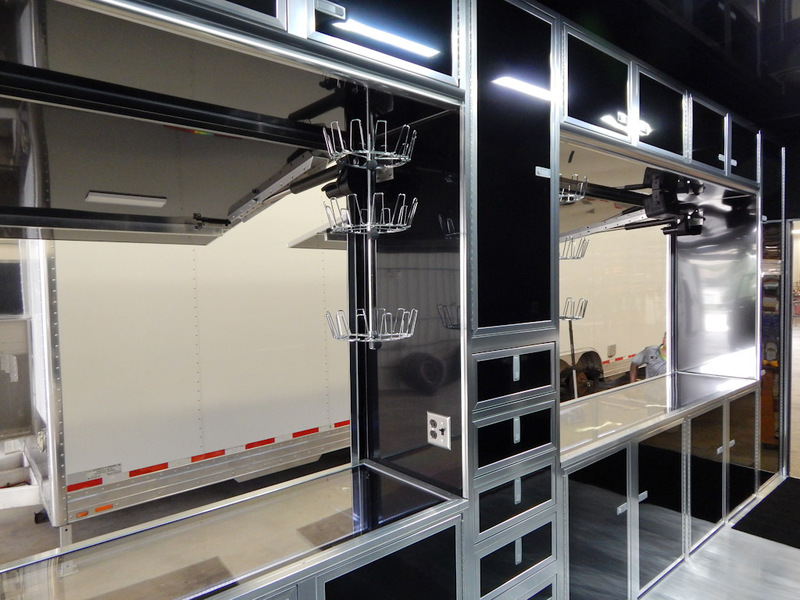 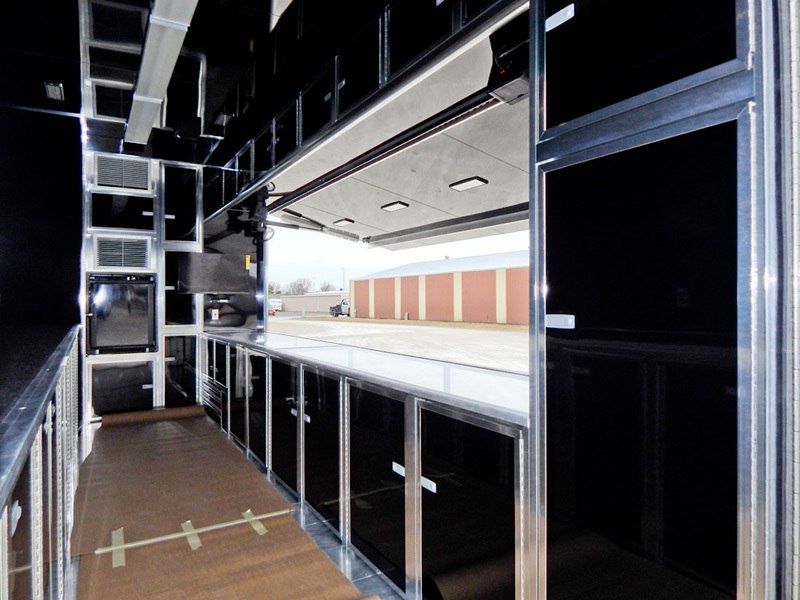 These trailers are available in gooseneck or pull-a-long configurations and offer a wide range of options to match whatever your on-site sales goals may be. 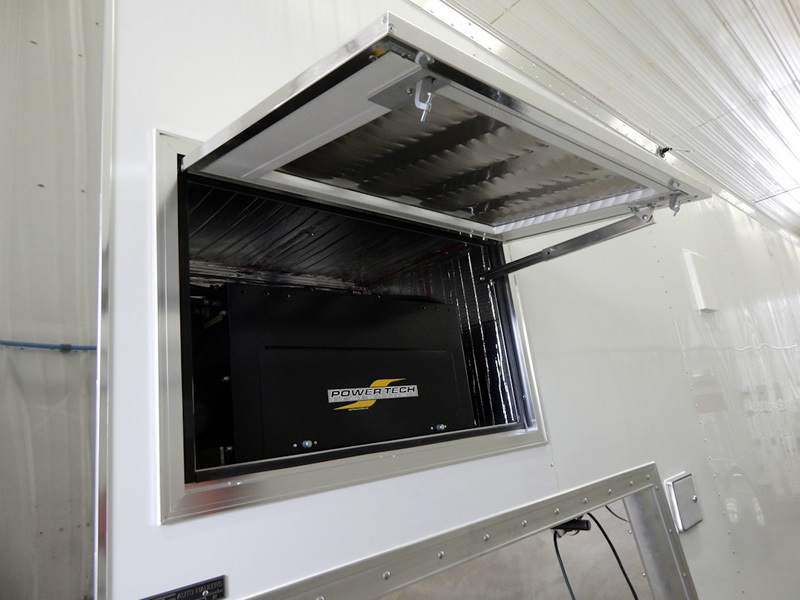 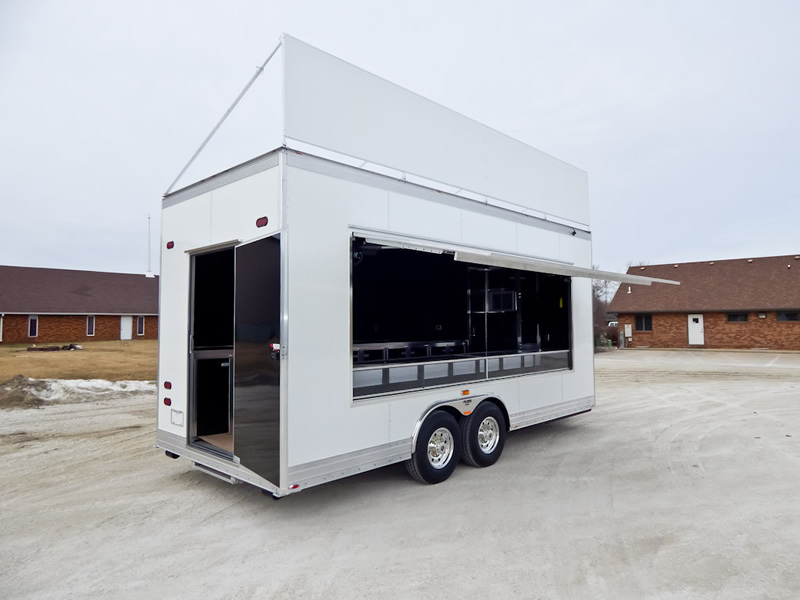 Built with the same high quality as the other trailers in our lineup, T&E vending trailers will stand up to years of hard work and provide you with higher resale value over lower quality trailers when it's time to sell. 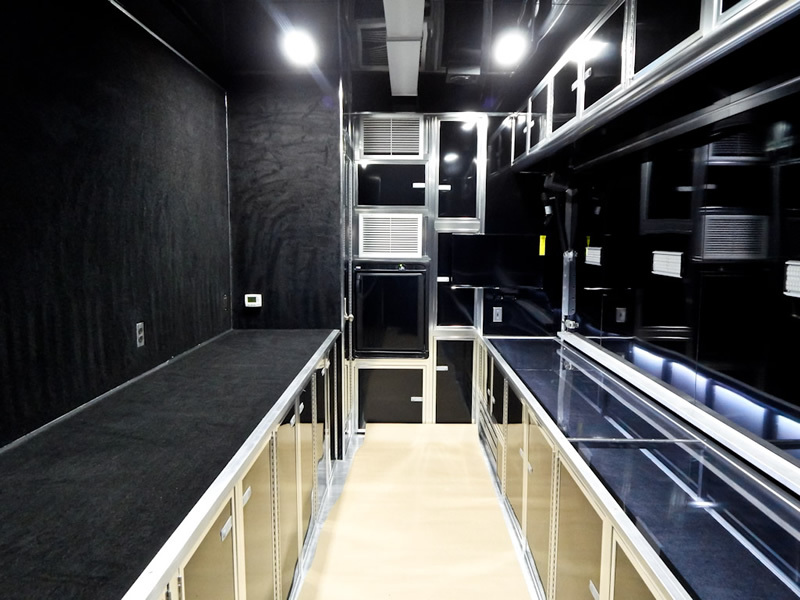 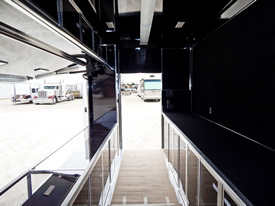 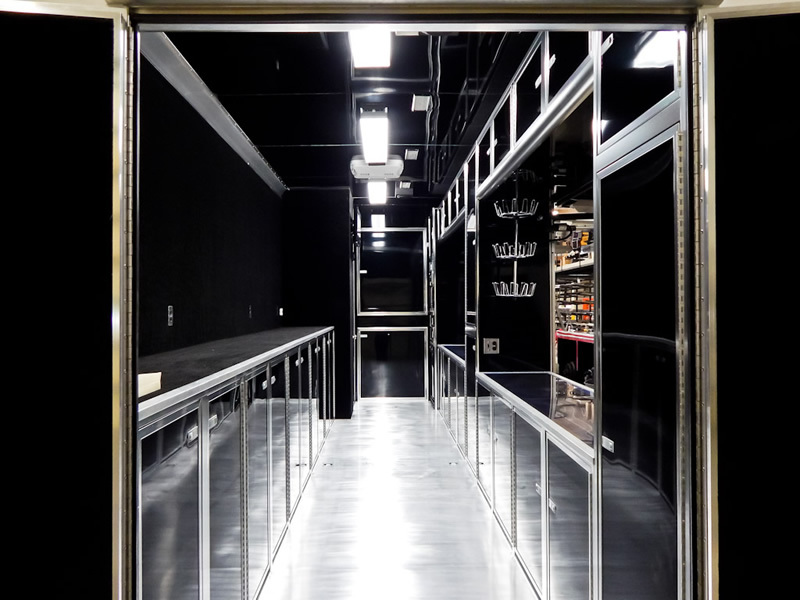 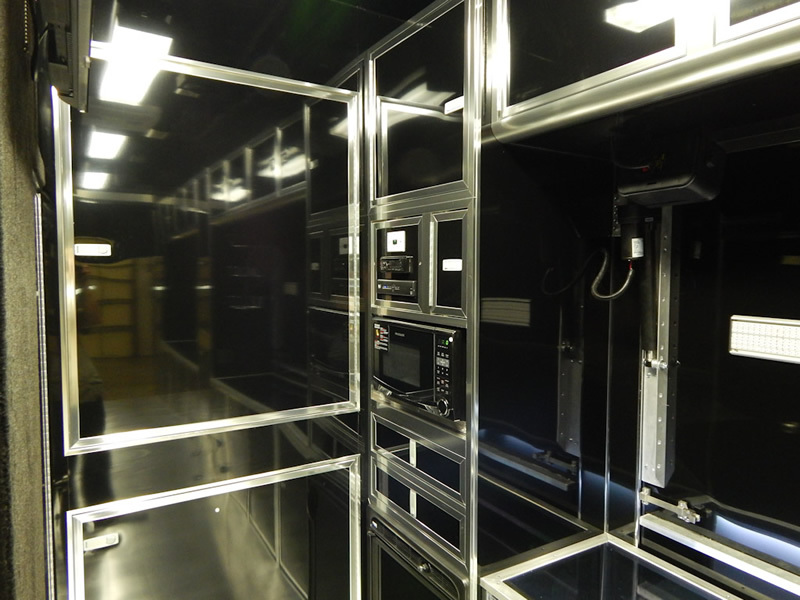 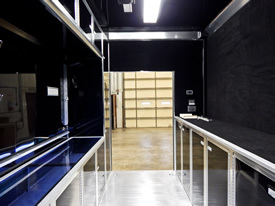 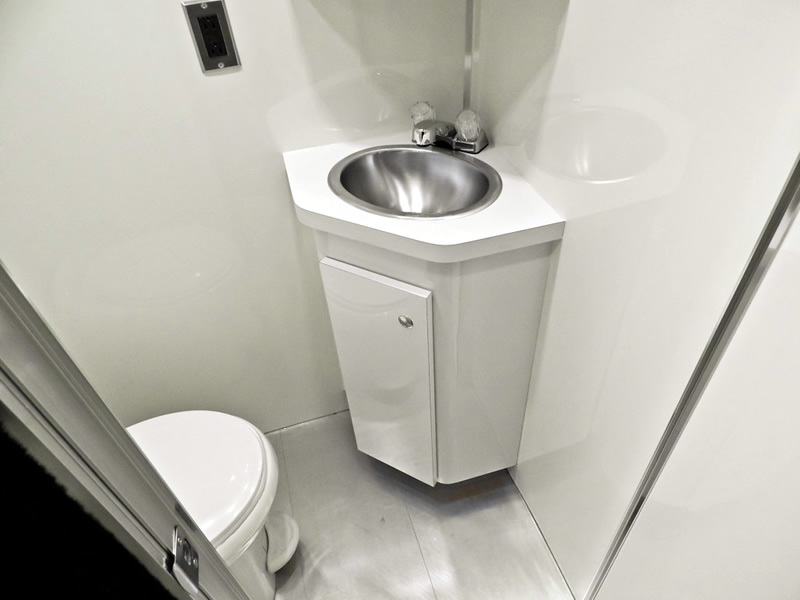 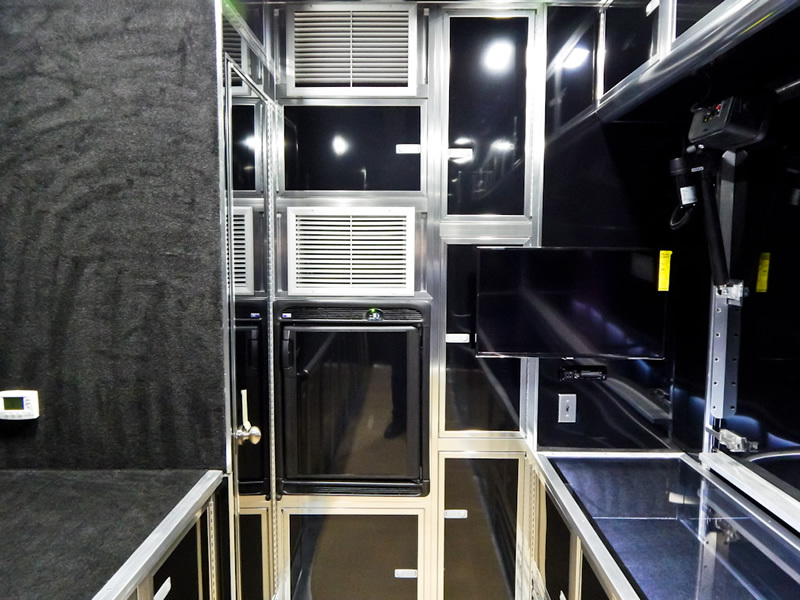 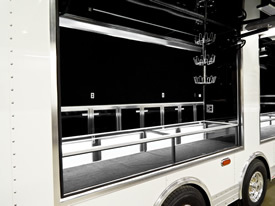 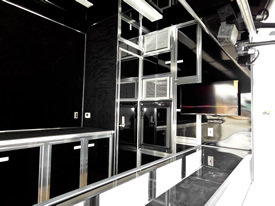 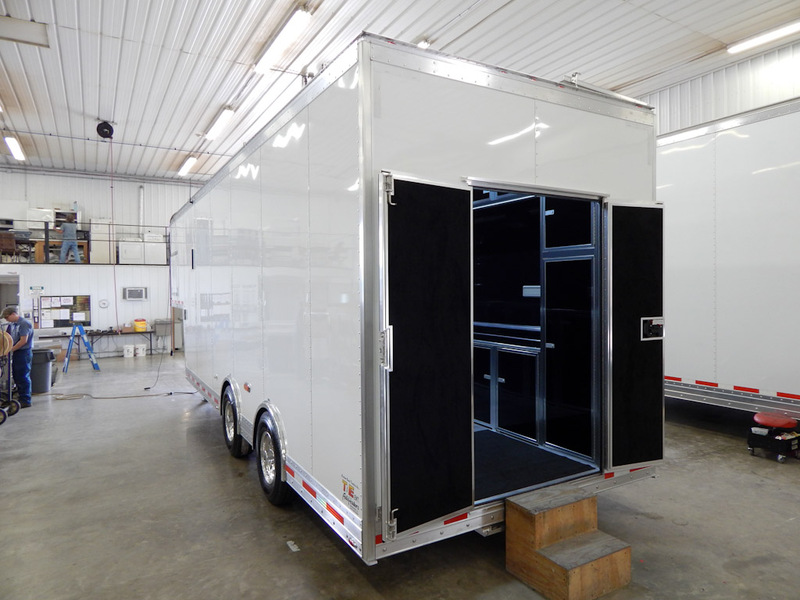 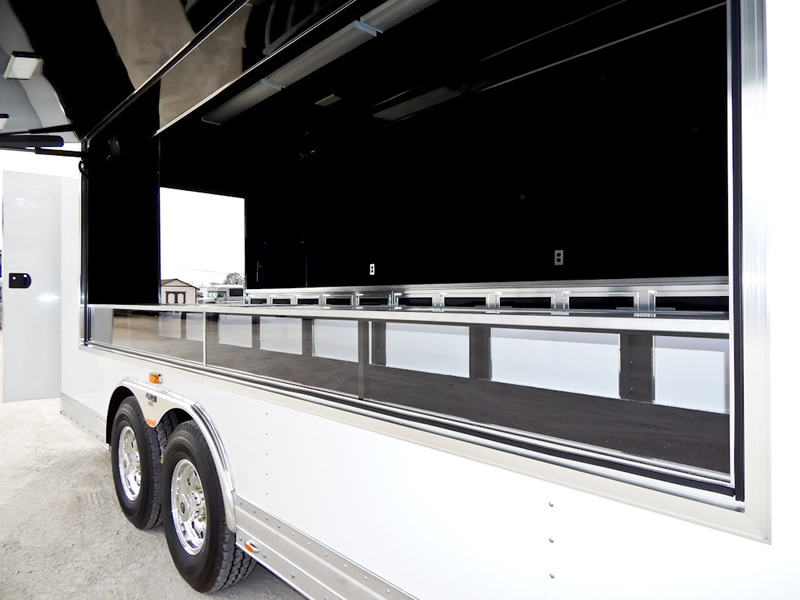 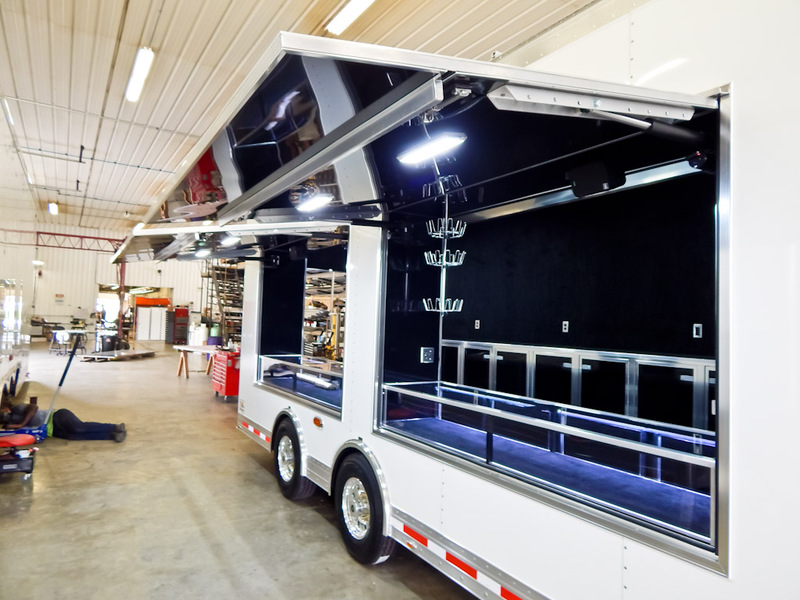 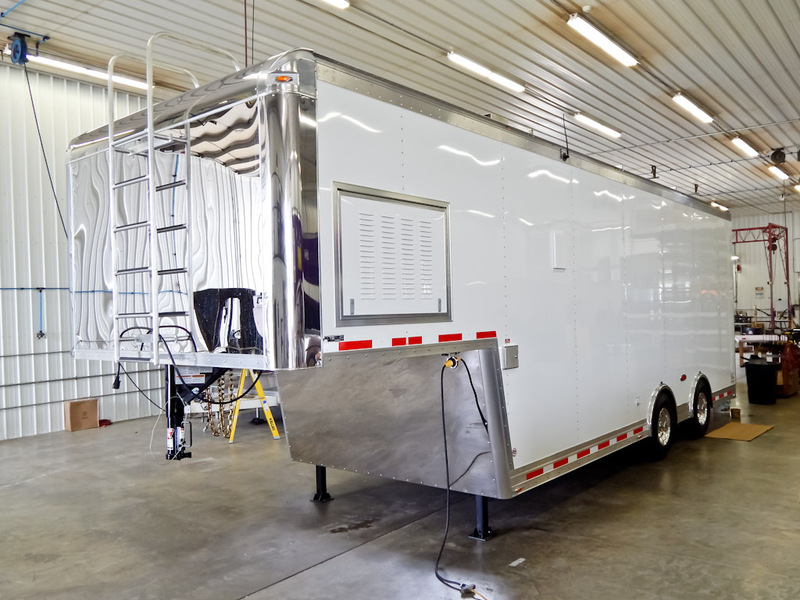 We build our trailers with the finest materials available combined with the highest level of craftsmanship. 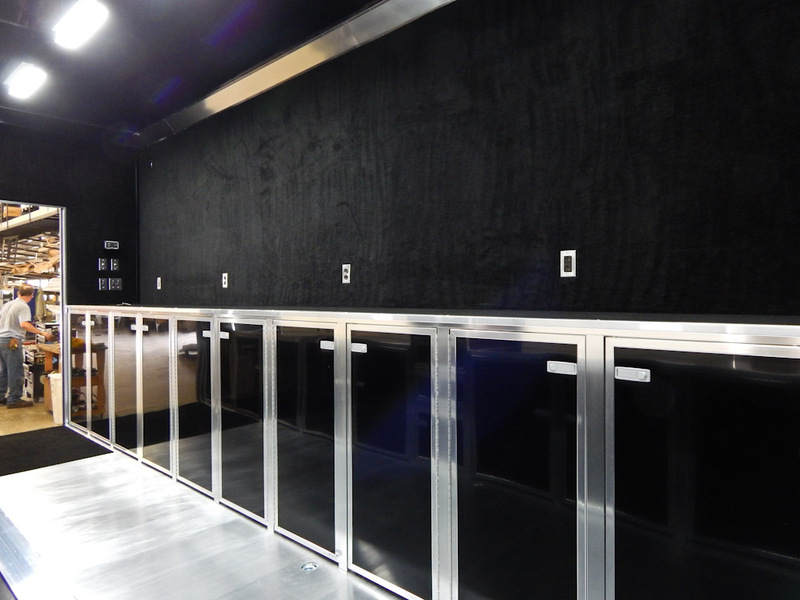 We think you’ll find that the results “speak for themselves”. 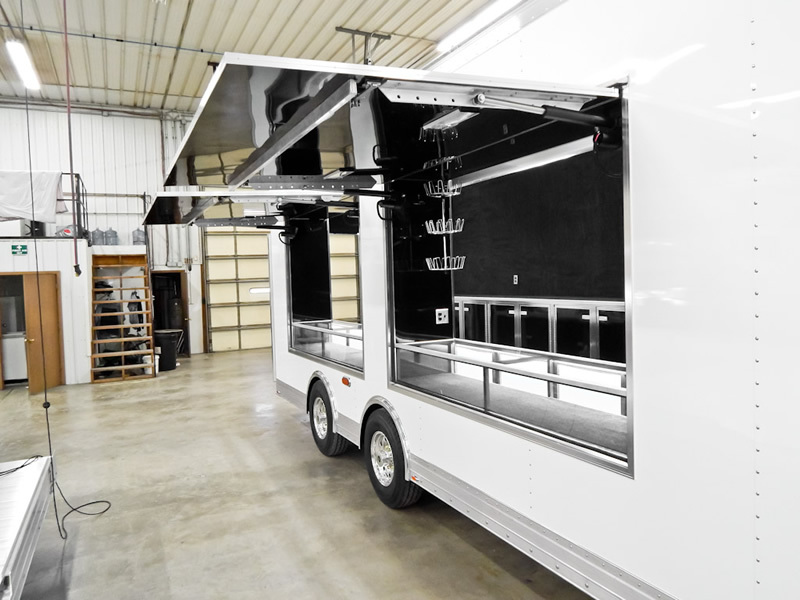 Why settle for a cheaper trailer built with compromising shortcuts when for just a few dollars more you can get true T&E Quality? 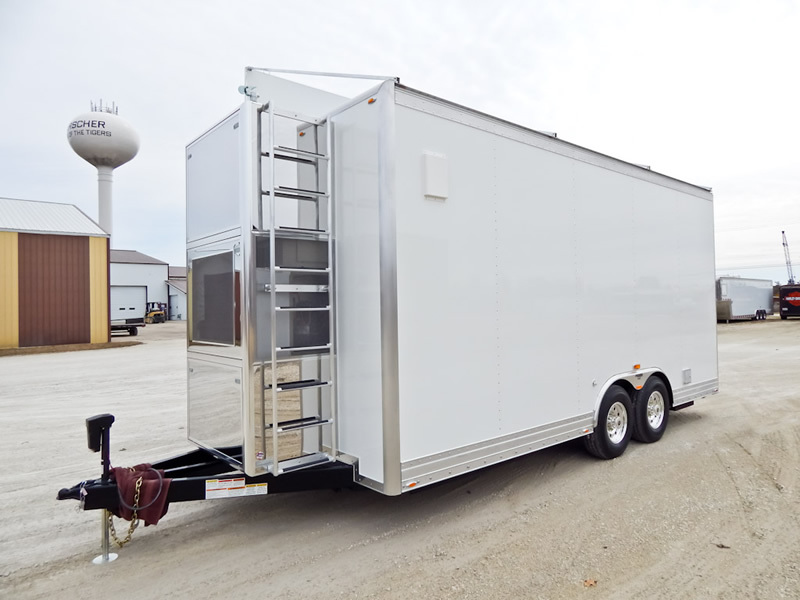 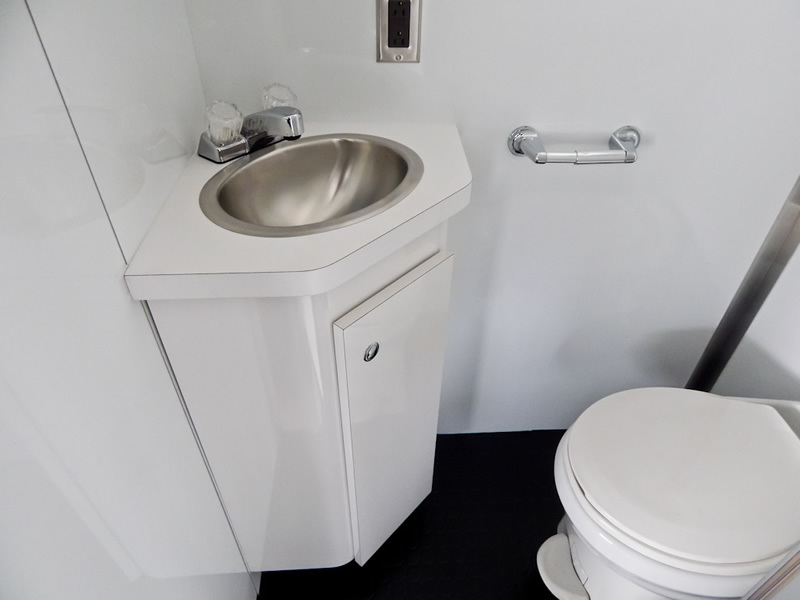 If you’re ready for the finest and would like to talk informally with us about a new trailer, use our convenient Online Contact Page or call Todd Datweiler today at 815-426-2761 and let him personally explain the Quality Advantage that a T&E trailer has over the competition! 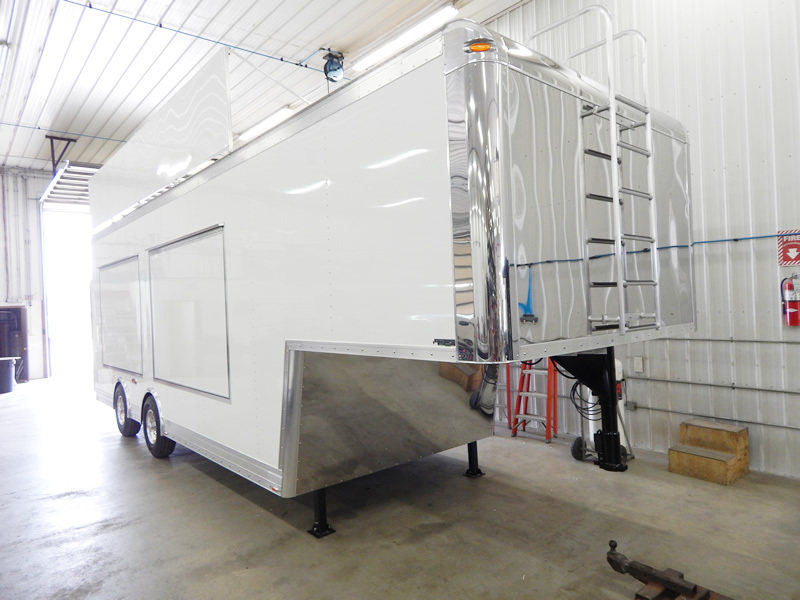 You may also Request a No-Obligation Quote on a trailer custom built to your specifications. 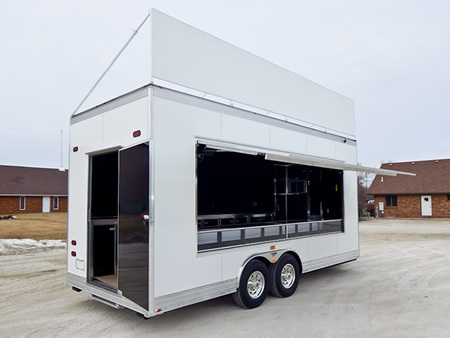 Our friendly staff will be glad to assist in giving you a quote on a Vending Trailer that will work hard for your race team and provide mile upon mile of smooth, dependable towing!